How often does static kill computer components? In the past? Now? What's the difference? Full disclosure: I'm a computer engineer and a software dev. I'm not an electronic engineer. If this question has already been answered, please link to it, I've done cursory searches on Google and SE and not got anywhere. Please don't flame me. Back when I started working on computers in 1995 the advice was 'wear a static wristband and never touch components outside your static grounded mat'. I was then introduced to the 'IBM method' which was: 'touch 2 hands to a grounded bare metal case'. Since then I have worked in a computer seller (1999) that shipped 50+ units a day and no-one in that place used static protection. We had many failures due to foreign objects (screws) that were under the motherboard, but never a component death due to static. Since then I have built computers and worked on computers (personal and work) without even employing the 'IBM method'; I have literally opened computers that weren't grounded and pushed components into them. They work fine afterwards. I understand that the plural of anecdote is not data, hence asking this. My question is about retail products; that which is bought by the consumer. Not test products in the electronic industry but the CPUs, the RAM, the PCI cards we buy every day. My question, boiled down; has there been a change in component design (component meaning; motherboard, CPU, RAM, plugin card, etc) over the years that makes the old advice obsolete? Are more modern components more immune to static? Or is the 'static death' of components a rare but costly occurrence? To answer your specific question. Integration of pc parts into standard modular components and the ubiquity of chip-scale ESD mediation since the early 90's means that there is a higher probability that the part you are working with is less ESD-susceptible today than in the 90's. It is very common today for chip manufacturers to integrate ESD protection into even the simplest logical devices, so while the underlying process (CMOS transistor logic) is the same, the extra protection makes the chips hardier and makes it less likely you will discharge current through anything sensitive than ever before. Generally speaking a comfortable lab or assembly room with many (grounded) metal surfaces, smooth floor, non-insulating bench surface, non-ionizing air conditioning, with no HV or stray sources of E&M is likely to be a very static-free environment as it is. Likely you have just gotten lucky thus far or your volume is too low for the risk to be appreciated. 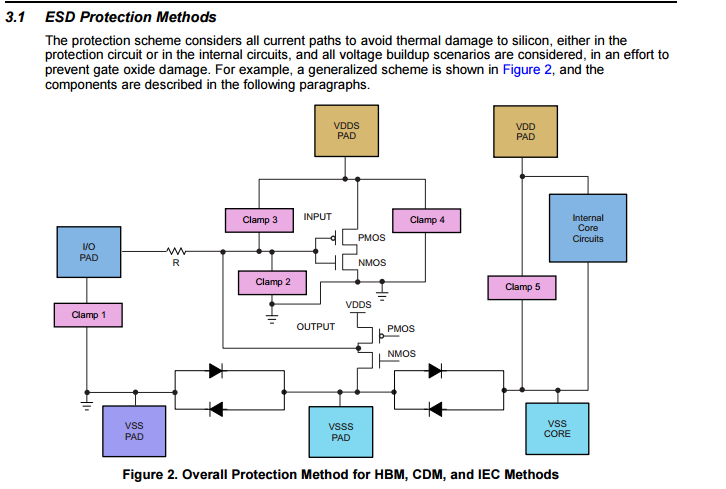 ESD protection is generally in place to protect sensitive electronics from charge sources, typically humans and occasionally foreign objects. The likelihood of a significant electrostatic charge on a component or assembly (ram stick, cpu) itself is relatively small, but some components may pick up charge from a human handling it and proceed to discharge into the next grounded component they touch. ESD becomes an issue in two distinct scenarios. First is extremely sensitive or simple devices (chips with open drain/collector ouptuts, crystals, small integrated sensors, etc.). Second is an environment that increases the likelihood of undissipated static charge on operators handling equipment, examples would include rubber floors (operator isolation), low humidity, rough friction surfaces, lots of operator movement (walking station to station), no grounded metal fixtures, etc. In the electronic manufacturing world, as single technician or station in a factory could see thousands of units (from different clients) in a day, and these assemblies may be designed for e.g. clean room assembly or have ESD susceptibility across the board. In that world ESD is taken seriously with mandatory grounding cords and ESD discharge stations for all materials and personnel entering the manufacturing floor. This makes the manufacturing process control (QA) simpler even if your device is not particularly ESD susceptible. Manufacturing protocols in the early 90's would probably come from this perspective (large scale manufacturing at one location, not a private assembler from common market parts) and the severity of the requirements coming from a time when computers were considered specialized hardware. I worked at a big semiconductor manufacturer last year as a software-developer and I had to handle expensive prototype chips, so I got an ESD training. The take away was, that completely destroying a chip via ESD does happen, but it happens rarely and is not much of a problem because it is easy to troubleshoot. Doesn't work? Then it's probably broken. The real danger of ESD is, that you may damage chips in subtle ways. They continue to work 99% of the time, but once in a while, on a hot and dry summer day they behave erratic. If this happens to a PC graphic card it may just manifest in sporadic junk pixels or a crash once a year. Probably not a big deal for consumers and may even go unnoticed. You definitely don't want sporadic misbehavior to happen in any kind of electronics that your life depend on. Think your car, the electronics in the airplane you're sitting in or the electronics of medical devices such as insulin pumps. The good old wristband and an anti-static mat at your workplace prevents most problems as soon as the chips are produced and in the package. The more safety critical it gets, the more you do against static: Special anti-static carpets and shoes with earth connection and the like. Not the answer you're looking for? Browse other questions tagged static or ask your own question. What is the difference between a static and non-static expression in vhdl? How does static dissipative foam work?